1. Why Poverty is Controversial? A. 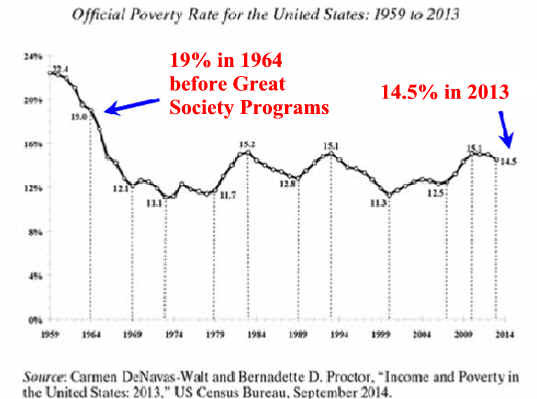 Which Poverty Data is Correct? B. Is Poverty a Conditional or a Positional? D. Is Enough Done for the Poor? 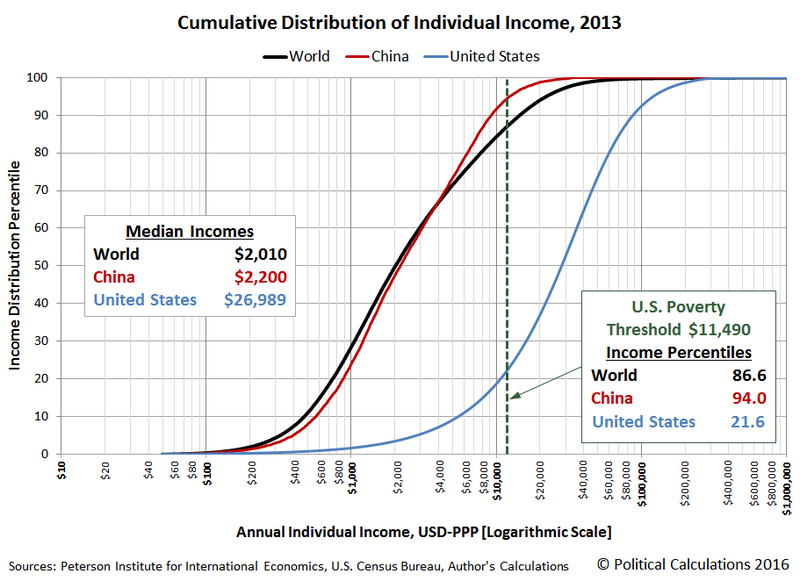 E. Is Income Stagnation Serious? A. Is Politics About the Money? B. Do People Vote Their Pocketbook? C. Should Americans Follow the Money? B. Is Poverty a Condition or a Position? Part of the Welfare System? Social insurance taxes -SS + Medicare Payments = deep doo-doo as employee does not pay taxes on employer's portion. 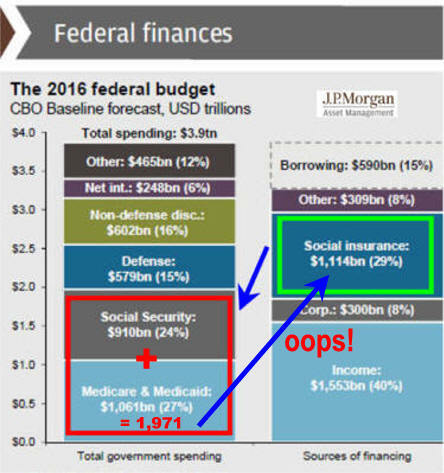 This data shows a tremendous increase in our safety net spending but there are two problems. Total spending is not adjusted for inflation which has been was very high in the 1970's and high the rest of the century. 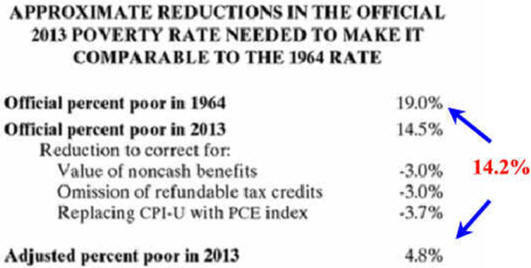 Also using appropriate techniques shown above yields a drop in poverty to 4.8%. The More Relevant Question is why isn't the CBO providing and publicizing basic data using appropriate methods to judge specific issues. The CPI-U is an all-purpose index that is very often updated but it is inap- propriately for long-term comparisons. Instead liberals use one set of data and conservatives use another set of data. Both are true but do not communicate the truth. What if people reporting all these people especially children who are supposedly staving are basing there numbers on the official rate that does not include food stamps and help paying for school lunches? Do you think they do it so you will donate to their nonprofit program to help the poor? To get elected? Have you ever checked out salaries at guidestar.org.